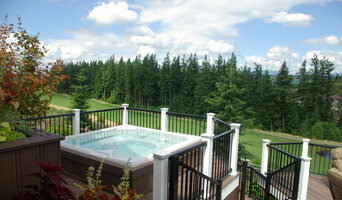 We've been making hot tubs out here in the Pacific Northwest since 1979, traditional wood hot tubs. And, we have taken the use of wood in hot tubbing one step further with our wood burning Snorkel® and Scuba® Stoves used to heat the hot tubs. In addition, we also offer convenient digital push-button technology with our gas and electrically heated hot tub systems. Most tubs are shipped within 48 hours. Delivery is 2-3 business days in the West and 5-6 business days to the East Coast. We are a local hot tub dealer located in Kirkland, Wa. We carry Marquis Spas which is a boutique premium manufacturer located in Independence, Or. We offer warehouse pricing, usually 20-30% less than the competition. We sell and install custom hot tubs and swim spas. We turn customers' dreams into reality. We offer the Elite Package, a process of customization that puts your desires first. We not only create the spas themselves but also do landscaping, deck and outbuilding construction, and renovation of existing space, taking a holistic approach to providing the ultimate spa experience. You can see the beautiful results of this approach when you browse our gallery of past installations - each with its own flavor and style, but united under a standard of excellent craftsmanship and creativity. When you call on Elite, you call on people who are passionate about giving you the best spa experience possible. We put that same spirit of care into our repair work and consultation services. Our commitment to excellence goes back to the very first spa we manufactured, back in 1976, and is evident in everything we do. Everyone, from the maintenance staff to the quality control department, works hard to keep customers happy and provide only products of the highest quality. This commitment leads us to continuously evaluate our methods to maintain our position as a technology leader. 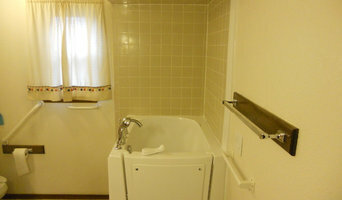 Many people dealing with mobility problems are making their bathing routine difficult, Independent Home of Washington supply walk-in bathtub which provides ease of access, safety, and comfort. In the modern day United States one of the cities which have shined out now days and have given many promising opportunities to the people is none other than the beautiful city of Seattle. Seattle is located on the western coast of the United States and there are number of MNCs which have their headquarters located in the city. The city’s picturesque location makes it top business destination and a popular tourist spot as well. Welcome to Hot Tub Insider (HTI). We are an independent organization that works with consumers to make the hot tub buying process simple and easy. Our management team has over 30 years of combined experience in the hot tub industry spanning the entire supply chain from manufacturing to retail. Simply put, we understand hot tubs. We empower the buyer by providing extensive research and knowledge so that they are able to filter out the noise and have the transparency to make an informed purchase. Our detailed buyer’s guides, charts, manufacturer profiles, and dealer directory provide consumers with the tools necessary to make the right choice when purchasing a hot tub. At the end of the day, a hot tub is one of the most tangible, rewarding purchases you can make for yourself and your loved ones but the hot tub buying process can be tricky to navigate . Just visit one or two hot tub dealers and you will find that the sales presentations heavily contradict one another and ultimately make things more confusing. Furthermore, a hot tub purchase can be as much as a car in most cases, ranging from $4000-$15,000, so let us be your trustworthy resource and help you make a good buying decision. 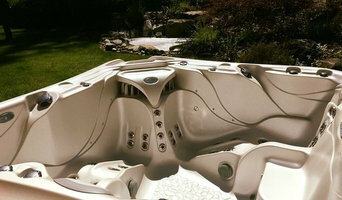 Hot Tub Insider also provides free local quotes from dealers in your area. As a complementary service, we ask you to complete a short questionnaire that is reviewed by one of our experts and subsequently matched with reputable local dealers in your area that fit your buying criteria. These local dealers will provide anywhere from 3-5 competitive price quotes for your review and consideration. 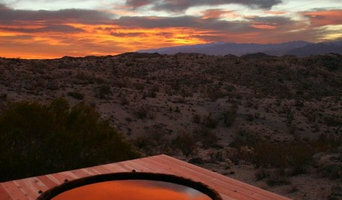 Starlight Hot Tubs is a luxury brand of hydrotherapy spas to provide relaxation and wellness. Our parent company has been manufacturing world class spas and hot tubs in USA since 1976. Having a hot tub or spa at your own Renton, WA home can provide more benefits than you may think. Ask any hot tub dealer in Renton, WA and they will tell you about the numerous ways spas can enhance your life, including physically, emotionally and socially. If you’ve been contemplating adding a spa to your home, visit a local Renton hot tub store today to learn more about which options are right for your location and needs. It’s important that you do some research before visiting a local Renton spa and hot tub dealer. While they can give you lots of information about features and financing, you should have an idea of where you would like to position your spa and what its main function will be. Do you plan to use it mostly for relaxation or socialization? How many people will be using it? All of these things will help the hot tub dealer pick the best models for you. Decide who will be responsible for daily maintenance in your household and if the extra energy costs are something you’re actually willing to incur. Also, know that most hot tub stores in Renton, WA let you do test soaks, also known as a “wet test”, where you can throw on your suit and take each model for a spin in the showroom so you know exactly how they feel before purchasing. Don’t be shy — just think of it as test driving a car! 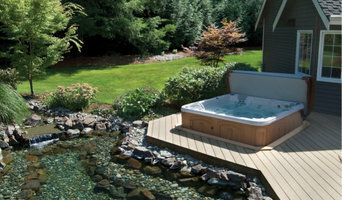 Find spa and hot tub dealers in Renton, WA on Houzz. Narrow your search in the Professionals section of the website to hot tub and spa dealers in Renton, WA. You may also look through photos to find hot tub designs you like, and ask about the details of the spa, including the manufacturer and where it was was purchased.